Just about everyone likes things to go their way. It’s only natural, but some people get more worked up about it than others. Can you relate to the term “if you want something done properly, do it yourself?” If this is your mantra, you just very well might be a control freak. It doesn’t make you a bad person. 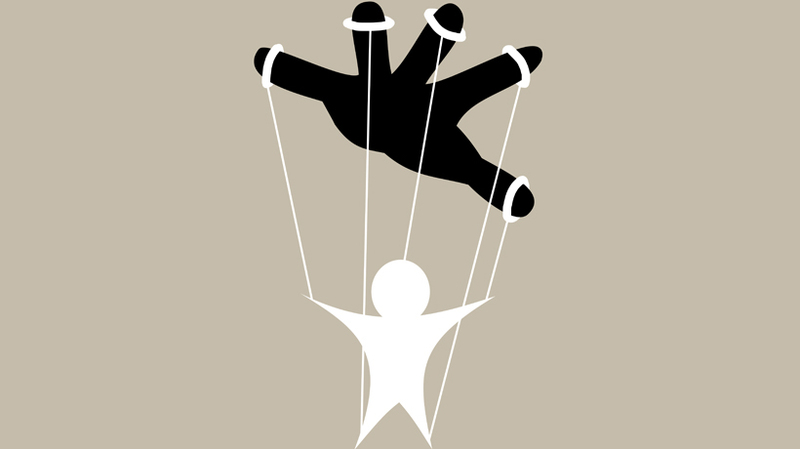 Control freaks are often just very particular about how things are done, aim for perfection and have trouble delegating. They often go by other descriptors such as “Type A personalities” or perfectionists or are accused of having an obsessive compulsive disorder. The downside to this affliction is that it is often not very psychologically healthy to want to control everything – a lot of things that happen in life are just out of our control, and if you think you should be able to control everything, you can cause yourself a lot of needless anxiety. It can also put pressure on your relationships with family, friends and colleagues, because nobody likes to feel controlled and bossed around. 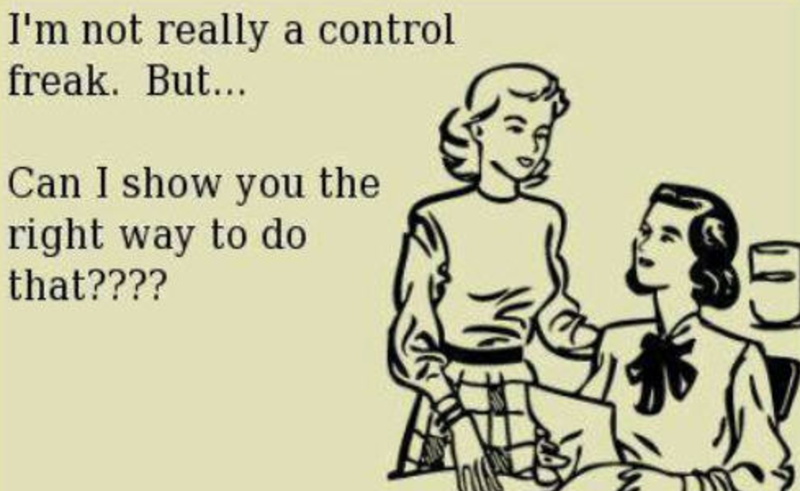 Unfortunately, control freaks never really realise that they are control freaks. They think they’re just being helpful and striving for perfection and helping others achieve their full potential by correcting them and ensuring they don’t make mistakes. 1. Correcting people when they’re wrong. Those who have a high need for control often feel they need to correct others when they are wrong about something. This can include irrational arguments, correcting spelling and grammar, pronunciation, historical details, manners or anything else they perceive to be incorrect. 2. Trying to change others’ behaviour. You believe that someone else needs to change aspects of themselves to make you happier, so you attempt to “help them” by pointing out the behaviours you dislike, usually over and over. 3. You lack faith in others. It is your belief that everyone around you isn’t competent and require your constant intervention and guidance to complete tasks properly. You take a “I have to see it to believe it” attitude and need to inspect other peoples’ work before you will believe that it has been completed satisfactorily. 4. Always needing to win arguments. You need to win an argument and always have the last word, determined to show others that you are the most logical, practical and intelligent person in the debate. 5. You are overly judgemental of others. You take a very black and white approach and judge the behaviour of others as either right or wrong. You can sometimes passive-aggressively withhold attention until other people fall in line with your expectations. 6. You’re a bad listener. You don’t like hearing someone else’s side of the story and don’t think it’s worth your time even listening to or trying to understand that point of view because you think you’re right anyway. 7. Refusing to admit when you are wrong. Even if you can bring yourself to admit you are wrong about something, you have a hard time letting others know you were wrong. This is due to distorted thinking that makes you believe admitting to being wrong will be held against you and others will see you as incompetent or foolish. 8. You always claim your feedback is “constructive criticism.” Even when the criticism is anything but constructive for the person hearing it. The feedback you give is often unsolicited. 9. You’re a workaholic. You are a workaholic and you love being a workaholic. You do crazy hours because that’s the standard you have set for yourself, and often, it isn’t even asked of you by anyone else. This might also be because you can’t delegate effectively and you end up working more hours than you would if you were able to trust others enough to ask for help. 10. You have to find flaws in everything. There really is no pleasing you and you always find something to complain about. If someone else did the work, you will find faults with it. If it isn’t completed, you’ll be angry that it hasn’t been done. If you haven’t been consulted, you’ll find flaws in the decision-making.